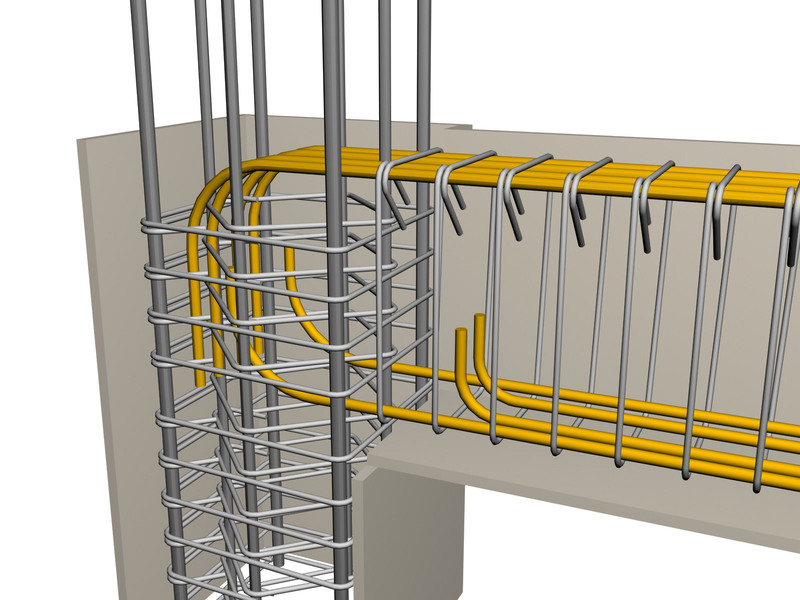 Reinforcement bars are being bent either in order to follow the stresses developed in the mem-ber or to get properly anchored. 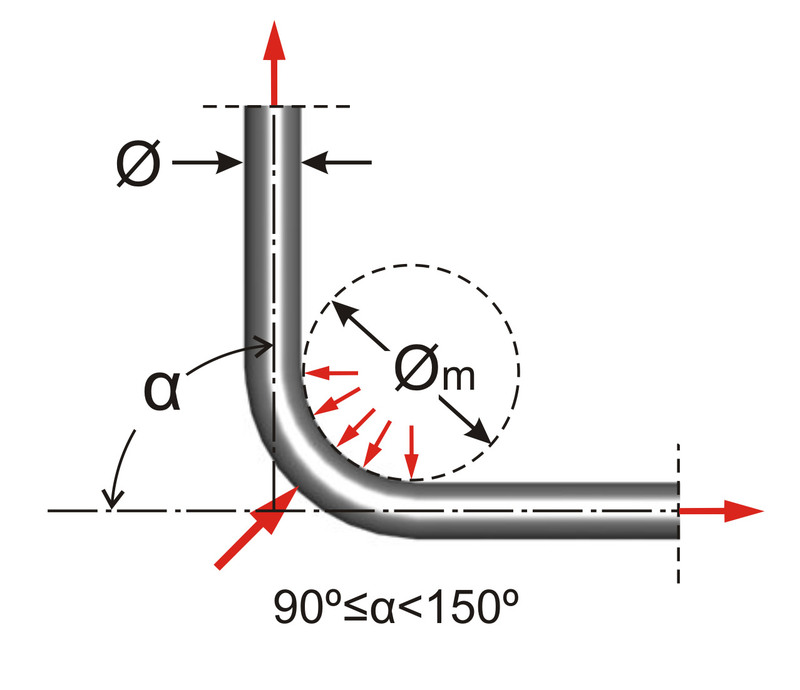 The minimum diameter Øm (mandrel diameter) to which a bar is bent, shall be such to avoid bending cracks to the bar and ensure the integrity of concrete inside the bend of the bar where large forces appear. 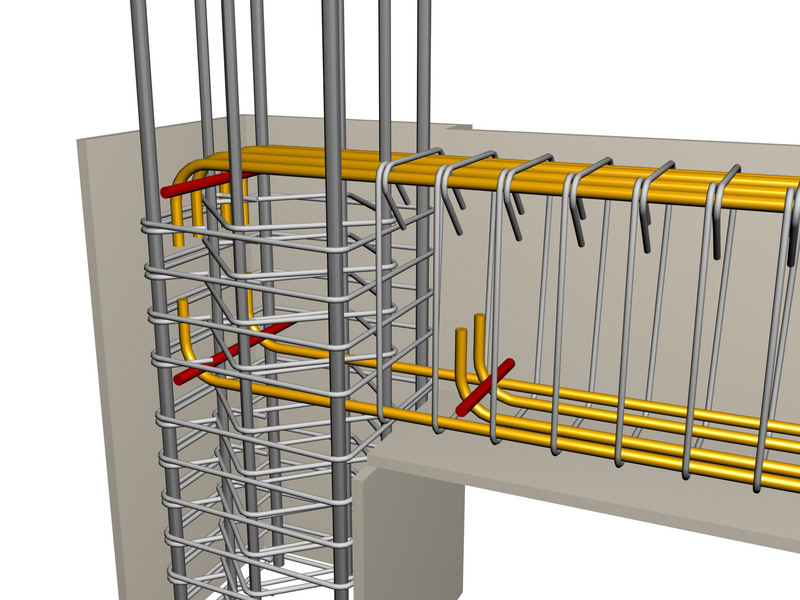 The smaller the mandrel diameter is, the larger these forces are and con-sequently the concrete may fail thus leading to the disintegration of the cross-section. Forming the right mandrel diameter has no additional cost since bending machines have ap-propriate rings for changes in the rolls diameter. 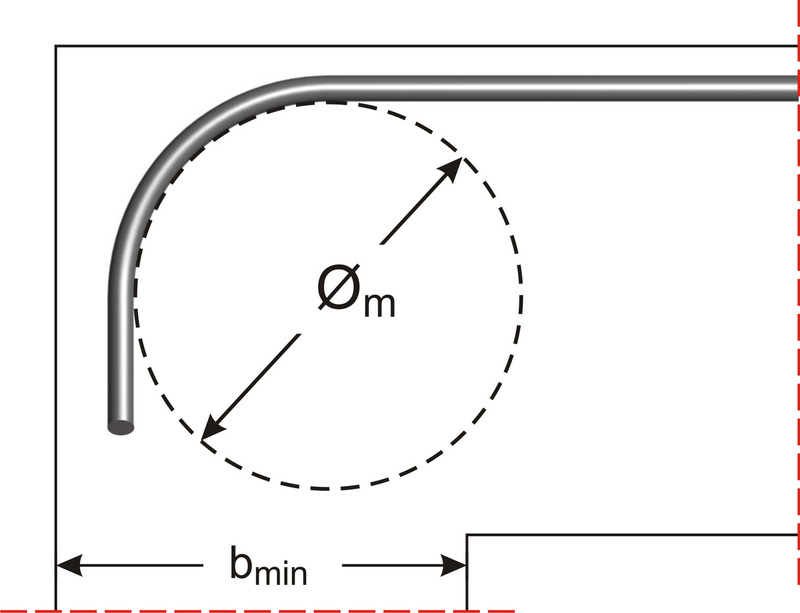 In columns that have a small dimension in the anchorage direction, (see the table below) the bending is implemented with the use of a large diameter drum. The minimum diameter of the drum is inversely proportional to the strength of the concrete and proportional to the steel strength. For grade C30/37 concrete and B500 steel, for various bar diameters, the minimum bending drum diameter and the minimum column dimension are displayed in the following table. Anchorage with bending in a small sized column.